Candy Mechanics is one of Makerversity’s alumni. 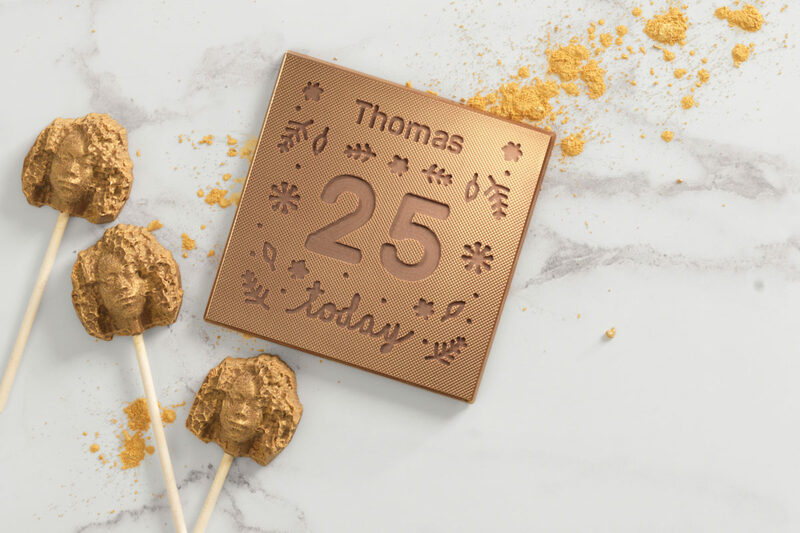 From starting on the Under 25’s programme straight after university in 2014, Sam Part, CEO launched the personalised chocolate gifting brand that uses CNC (computer numerical control) mills to carve directly into the chocolate and create unique confectionery gifts. 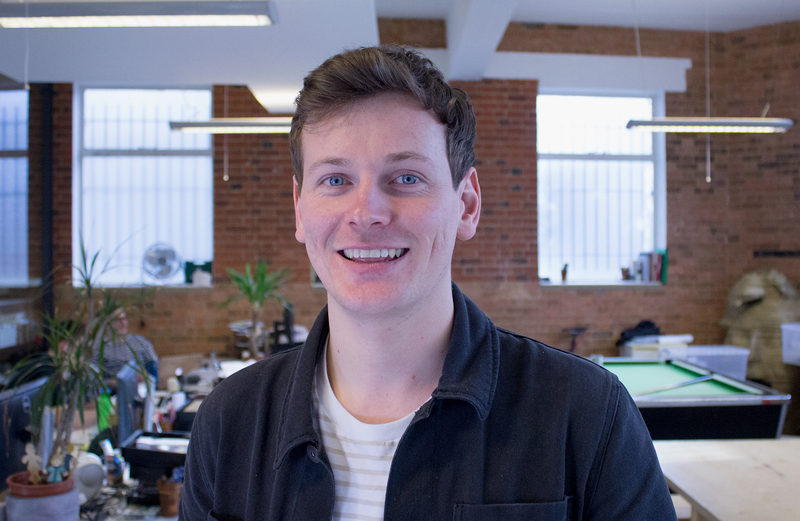 3 years on, Candy Mechanics now employees a team of 7, has just partnered with luxury chocolate brand Godiva and are crowdfunding on Seedrs to bring personalised confectionery to a worldwide market through brand partnerships. 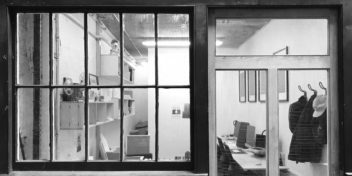 We caught up with Sam to find out more about the journey and the business’s plans for the future. What did those early days look like and is there anything that makes you feel nostalgic? 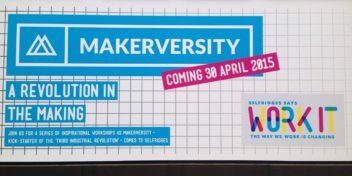 The early days for me at Makerversity meant few and far between haircuts, a growing dislike for the reliability of 3D printers and endless hours of mucking about with the other members at MV. I tend to look back at that time and realise how fearless and naive I was. Nobody can tell you how difficult this journey would be. But having gone through it I can reflect on what was, and still is the steepest learning curve I have ever experienced. 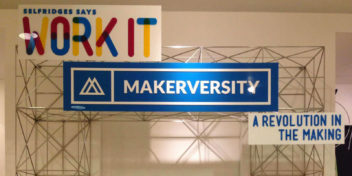 The idea from my final university project was developed at Makerversity by collaborating and testing processes with other members. In the beginning this involved creating molds from 3D printed parts, but it was slow and unreliable so we developed a fast and scalable CNC process with our CTO, Chris Tait who I met through Makerversity. This process evolved into Candy Mechanics becoming a brand and fully fledged startup with over £700k invested, 7 full time staff and partnerships blossoming with major chocolate brands. 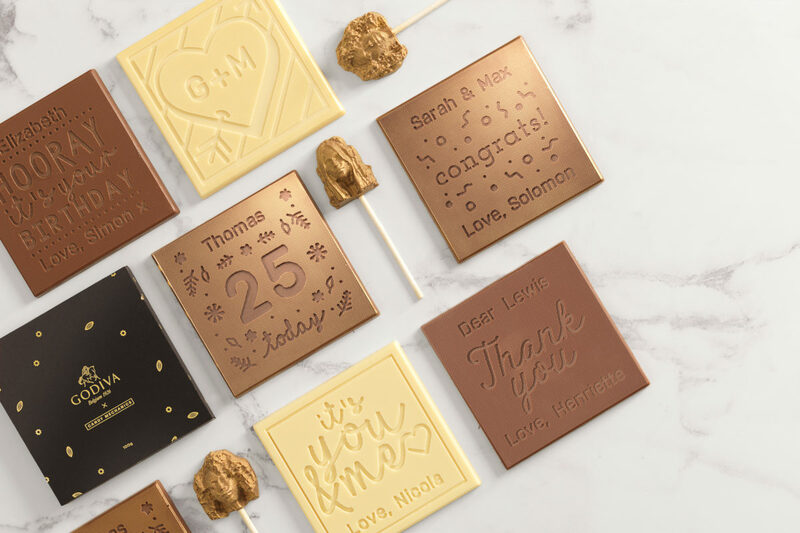 It is a very exciting time to be a part of the business because we are at that critical scaling point with a big aim to bring personalised chocolate gifts to the chocolate industry around the world. Did you ever see it taking a different direction and what stopped that? Candy Mechanics is one of those business’s where anyone and everyone has an idea for us. A new product, a marketing idea, a new process. It’s special in that sense and the fact that so many can relate and spend time thinking about it is a huge asset. I learnt that defining your route to market is such an important thing when building a business through private investment. I have eaten my words many times and changed directions plenty more. The trick to changing directions is learning from your previous efforts and making sure you don’t make the same mistakes the next time. Investors, mentors and employees all respect that and stick with you if you are open an honest like this. But it’s more or less just a small, young team who run all of this? A very small team, and yes it is a lot. Our “north star” is to be the biggest supplier of personalisation to the chocolate industry around the world. It sounds like a huge target but the team know how we are going to achieve this, so we are confident we can make it a reality. Looking back at the last couple of years, what lessons did you have to learn fast and hard? I think finding time for me is the biggest learning. If you don’t look after yourself then your work, your team and your shareholders will suffer because of it. Delegation and doing what you are good at is a close second. This can be described as “letting go” or trust. For me success would manifest through the whole team being aligned on the vision and how to get there. Recognising skills and successes is the only way to scale. What three things could you have not done without? My Family, my friends, the CM team. People are everything when running your own business. Where are you today and what can you see? I am in Borough at our studio – I can see our Godiva retail unit taking up our whole office before it is installed next week in Westgate Shopping Centre, Oxford. What future plans are you working on? We are at a critical stage with CM, we proved our business model, now we are out to scale. To do this we have partnered with luxury chocolatier, Godiva both online and in retail. They already have 500 shops across the globe and a fantastic heritage. With their footprint, brand equity and chocolate we can scale very efficiently. To support this growth and our future product innovation we have also launched an equity crowdfunding campaign on Seedrs. We’ve already had a lot of support for this and are excited for people to be involved in this next stage and shape the future of chocolate gifting.